It's no secret that we open our doors to investors, potential investors and other businesses all the time. In fact, just this week we had 5 groups of visitors scheduled, 3 of which were Monday! While it's true that more than 50% of our investors have never met with us face to face, or even seen their property, it's not uncommon for current or potential investors to stop in, talk with our team, tour our campus and see properties in the area. We encourage these visits because we stand behind our promise to deliver an exceptional experience. With each tour that happens at Memphis Invest, there is a lot happening behind the scenes to prepare our team and facilities to put our best face forward. Making sure everything is spotless, designating a facilitator for each tour, visiting every department in each building and answering questions, there is a lot that goes into making sure your visit exceeds your expectations! After 15 years of being in business, we've earned our reputation so that people trust what we do and the process by which we do it. The clients we want to serve aren't just after the lowest price or low cost options – they're after the experience. They value the energy and time that's put into the customer service we offer. While clients may get a comfort level of coming in and visiting us and our team, there are plenty that trust us with their investment and never see us or their property. Bottom Line: As we said earlier, 'If you build it, they will come', and our business continues to grow. Memphis Invest is set to purchase and sell 800 houses this year to investors. We're set to reach 5,000 properties by this summer and we're expanding into new markets this year already. As we continue to build and grow, we encourage investors to come see what we're doing and how we're growing. Kent Clothier: Hello everyone, welcome to the Experience Matters Podcast. I'm Kent Clothier, your host, co-hosted by Kevin Hommel. Hello, Kevin. How are you today? Kent Clothier: Welcome everybody. I want to remind you again that you can find us on YouTube channel, Experience Matters Podcast, SoundCloud, Memphis Invest website and iTunes. We encourage you to follow us and listen to us. Hopefully, we bring you some good content today. I think we got a really good topic today. I believe this is episode number 36 or 37. Let me ask the producer. Number 36, today, over the period of the last five or six months. Maybe a little bit longer than that. Again, hopefully we're bringing you some good content about the Memphis Invest business model, about our property management business model, maybe about a little bit about entrepreneur, maybe a little bit of personal development, business development in there. Again, we're glad you're following us and listening to us. Kent Clothier: Kevin, let's get into what we want to talk about today. Kevin Hommel: Yeah. Today's topic, and I think it's perfect timing that we're going to talk about this today on a day when, I think, we've actually had three or four separate groups of clients or leads visit our offices. That's something that I know you have always, every time you speak publicly, you invite people to come, meet our team, come to the Memphis office, the Dallas office, meet our team and come see your company that's managing your assets for you. Today's topic is, "Build It and They Will Come." I thought I'd get you going with a good topic to get you started off on a good question. You want me to jump right in? Kent Clothier: It's certainly appropriate for today. I think we've had, what? Two or three? Kevin Hommel: I think we've had three, maybe even four. Kent Clothier: Some are new customers, some are existing customers. We can tell the summer started because we've had a couple of people been in with their kids today and kind of go on a tour of our buildings and spend some time rekindling old friendships if they're a existing customer and staring on new ones if they're a new a lead. But go ahead Kevin, jump right in. Kent Clothier: Yeah, 92% of customer interactions happen by the phone. We know that's a good thing and again, it depends on if you're trained and understand how to have the skills to handle phone conversation if you're in business, which is a completely different topic. But we always want to encourage people to come in and we have about 60 people, 65 people working here in Memphis and another 20 so over in our Dallas office and we love when people come and visit us and see who we are because we think we're a lot different from most people that are in our field. Kevin Hommel: Why do you believe so much in that face to face interaction? Kent Clothier: Well, because I know what they see here when they come and visit us and of course, we've had hundreds of visitors over the years and the reactions are always, "Wow, I had no idea. I didn't know that was what it was like. I'm surprised. I thought it was a little small operation with three or four guys in a darkroom with a light bulb flipping houses." When they come in and we see that we have a business office, an accounting department and a rehab department and a couple of big conference rooms and different levels of ... We have our owners and our executive team and we have our middle management. We have all of our banking people in our closing departments and our receptionist and then, that's just ... We haven't even got to the property management building yet, where we have our seven customer service ladies, our buy-in department. Then, downstairs, we have our complete property management department with leasing and credit approval and maintenance and renewals and all our departments that run on our property management. Kent Clothier: When people come in and see it, I think they're a little bit surprised that what they're getting into or what they're looking at, but again, we have 1500 investors, almost 5,000 properties. We're in five cities and it takes a lot of folks and a lot of administrative, a lot of systems, a lot of processes to do that. I think generally speaking, they're a little surprised. Kevin Hommel: Yeah, I think ... Well, obviously, this is the Experience Matters Podcast, and so it's the ... For the lead that comes in that's not a client yet, I think it's one of the final touches that gets them over the hump of, "Gosh, I'm going to buy a property in a city I don't live in. I'm going to have this company manage it for it. I'm not really going to have to be involved in the day to day interactions with residents and things that go along with property management, with maintenance and stuff like that." It's the, "Hey, I've been there. I've meet the team. I've seen the machine that this thing is," and so, I think, it's that final ... I don't know, the cherry on top, maybe that gives them ... I think we get more "Wow" reaction from people that come in the office from anything else that we probably do. Kent Clothier: Yeah, and I talked about it. A couple of weeks ago, I was in Dallas, at my son, Kent Jr.'s, Boardroom Mastermind event. I talked a little bit about it to his group about when we have visitors and the preparation and the attention to detail of everything being clean on the inside and outside of our buildings and everything is fresh and the bathrooms are fresh, the kitchen is fresh. Kent Clothier: When people come through, I think, it's an observation that maybe they have on their part that hopefully that the houses that they're purchasing look like this. Because what we do is the same way we do our properties and we want them to come in and take a look at what we do and then when they get ready to depart, we have one of our culture books for them, a little Memphis Invest bag of mementos and goodies for them, a children's book that we have if it's apropos for their particular family. 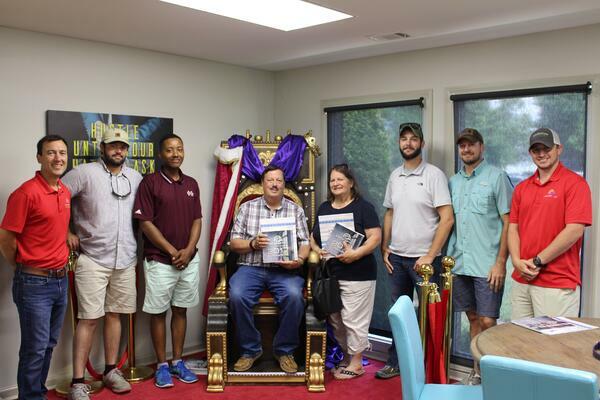 Then, we take a picture in our lobby if they're a lead and if they're a existing customer, we have a chair over in our big conference room that's a king's chair. That's where our customers are always king and we take that picture. Kent Clothier: Some people said that sounds kind of goofy but it really isn't and our customers love it. Kevin Hommel: They love it. Kent Clothier: Then, we take the picture and before they get in their car, we have emailed them the picture and a short letter from us, so the first email they get that they happen to do like we all do and get in our car maybe and check our email, it's already from us. Those little things like that prove to be pretty successful for us. I think, so far this year, in the first 5 and a half months, that we've had about 40 or 50 visitors that have come to our offices on different tours and different visits and come in to meet our team and see our operation. About half of those are existing customers and about half of those have already been here one time before and they came back again. We love it when they come in. We'd rather do it face to face. We always have an open invitation and I'll say it on the podcast right here, that whether you're trying to develop a business and learn different things to do, about how to attract and retain customers and scale a business, we'd love to take you on a tour of our office. Kent Clothier: I always get in trouble for saying this Kevin because it always ends up being more than what I thought it was going to be. But we'd love for anybody to come to Memphis and visit our office and if you're contemplating doing business with one of our companies, we'd certainly welcome you to come in and hang out with us and kick the tires and meet the team and there's never an obligation. Kevin Hommel: Yeah. It's been a couple a week this year so far, on average. I think, now that we're in the summer, it'll increase a little bit. Yeah, you heard it right. If you were listening about two or three minutes ago when Kent said there's a specific way we want the picture taken, there's the way we want the property to look when they go to the ... There is an actual discussion about 20 minutes before anybody comes for their tour, to make sure there's toilet paper and paper towels in the restroom, the kitchen's clean, everybody's desk is presentable and there's a process for walking them around the campus for which building they go to first, when the picture's taken, all of that. True to our form, there's a process and training that goes along with everything. Kent Clothier: Well, it's kind of over the top with some details and this happens to be one of them because you only have one chance to make a first impression. When they come into our lobby, there's a big screen TV with their name and city and state. "Welcome to Memphis and thank you for being a client," or, "Thank you for being a lead." I'm not quite sure what it says up there. I know they tweaked it a little bit. But we roll out the red carpet because again, we only have one chance to make a good first impression and we always want to do that. Kent Clothier: I think it's really important, whether you're ... No matter what kind of business you're in and of course, people that work with us and with me in particular, now that I'm just crazy about customer service and how I would like for things to look and trying to make a good impression not only on our clients but have a great place for our people to work that's clean and well-kept. We try to do those kind of things. Kevin Hommel: Yeah, and no matter what business you're in out there listening to this podcast, the precision of the tour is just one of the things that gives them, I think, the comfortable level of doing business with us. As we've said, we're not the cheapest in this business. There's a lot of companies around the country that do turnkey real estate, but we're going to be the best and it's the same detail that goes in the tour, that goes into all the other processes that we do around the company for management and maintenance and rehabs and just everything that we do. Kevin Hommel: I think, the fact that they come to the campus, they see a clean cut grass, they see the facility looking nice, our team all gets up out of their desk, goes over their hand to greet them, that's a huge, I think, a comfort thing when they leave. Then they get in their car and they're like, "Holy cow, I have this email already from Kent. It's got the picture in it that we literally just took 45 seconds ago and it's personalized too." A lot of times, we'll say, "Have a great trip back to New York. Come see us next time, Southern California, we have a lot of clients out there. Hey, we're going to be out there later this year. We'll come visit you this time," so and so. It's just that attention to detail that you have to do. Kent Clothier: Let me just pile on one more thing. Kevin Hommel: Yeah, go for it. Kevin Hommel: Well, and real quick on that, I mean, let's say they are leaving our office, they may be in Memphis to see a couple of other companies too. I doubt anyone else is doing that and that's going to be something they remember when they go back to their hometown and go, "You know, that company, the properties might be a little more expensive, but at least, I saw their facility. I know what I'm getting. I know I'm getting what I paid for and man, they're the ones that took the extra time to go above and beyond." Kent Clothier: It's all about the experience. Kent Clothier: About how they're treated. Kent Clothier: Go ahead, sir. Kevin Hommel: We have, and I think you've shared this stat on the podcast for sure. I know you talk about it when we have events, when prospects or existing clients are in the room with us, but why do you feel less than 50% of our clients have actually been to Memphis or Dallas to see us, meet the team or to see the properties that they own. Why do you think that is? Kent Clothier: You know, that's funny because I was asked that question a couple of weeks ago in Dallas. Somebody asked me, "Do people come and see their houses before they buy from you?" It's amazing. I know about a year or so ago, it was still about 50%, I believe, are the people that have never been here. Of the 5,000, never been to the city to see their house. After 14 or 15 years now that we've been in business, that we've earned our reputation is so that people trust what we do and the process by which we do it and we've built up our reputation, our credibility, our integrity with people. Then, we certainly give people, if you want to talk to somebody that's done business with us and more and more people today don't come in town to see their properties. Of course, they can come at any time. But for whatever reason, we've earned the opportunity to earn their trust through years and years. Kent Clothier: We're not perfect. We make mistakes, but we're always going to do the right thing. That's the number one thing on our core values. But, I think, we've earned people's trust after thousands and thousands of houses, thousands and thousands of rehabs, thousands of customers that know us and we just take care of their property, they don't have to worry about it. They can go to bed at night. They realize that we're handling everything and they get a check every month. It's been pretty good. 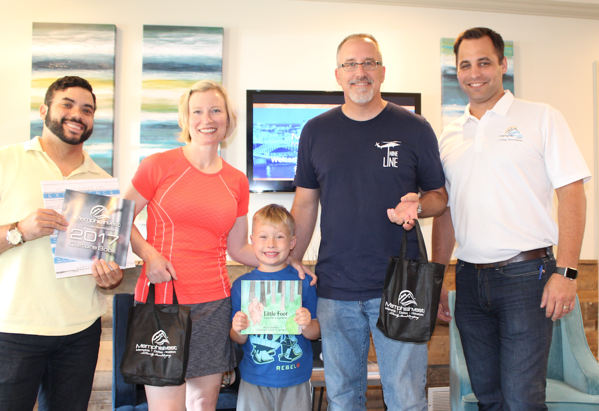 Kevin Hommel: Yeah, I could think of several clients that own five or more houses that I've met personally, that if they have come to town, it's just to see us, to come by the office and say, "Hey." They've never gone to their houses even if they're in the same town. Kent Clothier: I don't know if you heard earlier today that the people are coming from Hawaii tomorrow to visit with two of our sales people. They've already been here and all they're doing is coming to visit. They own houses with us. They don't want to go on a tour of the buildings because they've already done that. They're just stopping by the offices from Hawaii to visit with our team. Kevin Hommel: Yup. I think they're going to go to lunch with a couple of people and then head on back to do whatever they're traveling for. Kevin Hommel: The last question I've got is, there are other business owners out there listening to the podcast. You started out telling your entrepreneurial journey and there's a lot of companies out there that do this, but there's a lot of companies that do all kinds of different things. I'm sure we've got real estate owners and we've got investors and we've got business people in other industries listening. For the business owner that are out there that says, "Why would you spend all that time and energy worrying about when a client comes in or why would you let them behind the scenes? Why would you invite them to meet all your people." I mean, we walk them around. They introduce themselves to everyone. Give a little knowledge or a little wisdom to why that's such a big deal to you, why you would advise that. Kent Clothier: Well, I've had people that I've been associated with in the past that don't think the customer service and all of this effort that we put into this is worth it. Certainly, as a business owner, that's their prerogative. We're completely transparent. We have no secrets. Anybody can come in and see exactly what we do every single day. As you know, Chris and I and Brett, we have no corner suite. We work right here at this conference table every single day that we're in the office. We work right here. We invite people from around the country and around the world to come see us, hang out with us, see what we do. Because I think it's important that they do it and that they come and see when they want to come and see they don't all have to come. Not all of them do. But they can come and at least, visit with us anytime that they want to, really. Kevin Hommel: Yeah. I think, to add to that, that's the client we're looking for. That's the client that we want to serve. The one that isn't just after the lowest price or the low cost option. That they're after the red carpet. They're after and they value that energy and time that we put into all the customer service effort. While the client may get a comfort level of coming in and visiting us and seeing us. As you said earlier, the ones that don't, just to have said, "Hey, I trust this company to handle it. I don't need to go to Memphis or Dallas or any of the other cities to see my properties," we get, I think, as much comfort in dealing with that client that, "Hey, this is somebody that is going to value all that extra time and energy we put into the service side of the business." Kent Clothier: Well, we want to make sure, again, that we do the right thing. We're not for everybody and our business model is not for everybody because a lot of people don't believe in some of the stuff that we do. But as we've said, you said it a few minutes ago, we're not the lowest-priced house. You can buy houses cheaper in Memphis that you can buy from us but there's nobody that takes care of the details more than we, there's nobody that'll be here to serve you and answer the phone and handle anything that you have, whether it's a resident, a vendor, an employee or an investor. We're treating everybody the way that we want to be treated. Kent Clothier: Our goal is to be excellent and perfect that excellence as best we can every single day, knowing that we're going to make mistakes and we try to learn every time that we make a mistake or we stub our toe or we don't do something the way we should've done it. We try to learn from that experience, so that we can get better the next time and make it even better for those folks. Kevin Hommel: I can't think of a better way to wrap it up other than that. Kent Clothier: Well again, today's topic was, "Build It and They Will Come," and our business continues to grow. 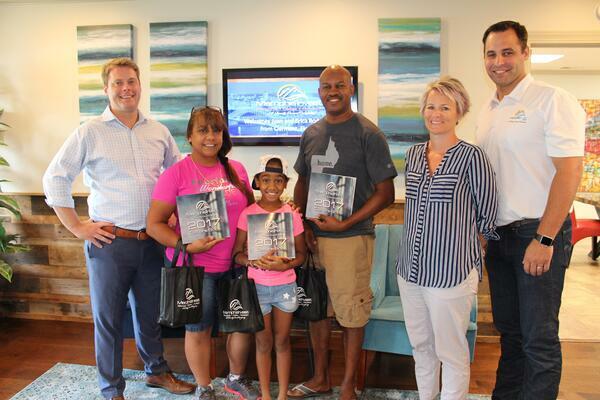 We're going to do over 800 houses this year that we're going to purchase and sell to investors. As we mentioned earlier, we'll go buy, we'll pass 5,000 properties sometime late this summer and we're about to expand into Tulsa and St. Louis in addition to Little Rock and Oklahoma City in Houston. In Dallas now, we have close to 1300 properties, Dallas, Fort Worth and 3200 over here in Memphis, I think. Continuing to grow, so we're buying somewhere around 20 houses every week in all the markets and that'll go up once we get into St. Louis. But as we continue to build it and we continue to have new investors that want to do business, we urge you to come and see it. as what we said, we build it and they will come. Kent Clothier: Today's podcast was about that, about being an open book and encouraging people to come and visit us, see us, meet us. We, hopefully, make that experience even better for you once you come in if you decide to do that. 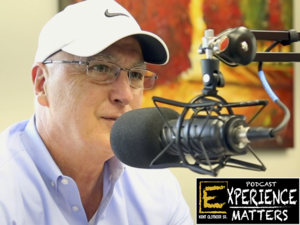 Again, thank you today for being on our podcast this afternoon and I want to remind you again that you can find us on the Experience Matters ... our Experience Matters YouTube channel, SoundCloud, the Memphis Invest website and iTunes. To all of our listeners, have a great day and thank you for being a part of this session. Thank you.